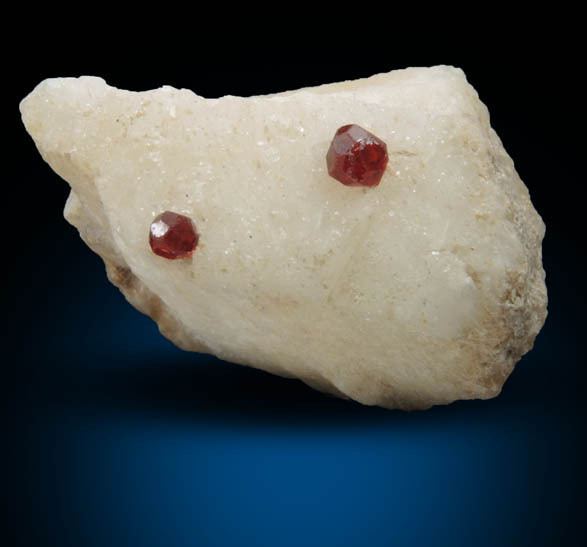 Description: Two transparent red garnet crystals on white microcline. 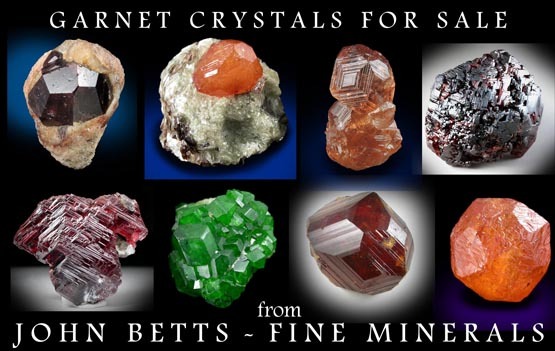 Both spessartine and almandine garnets occur here and testing is required to determine exact species. 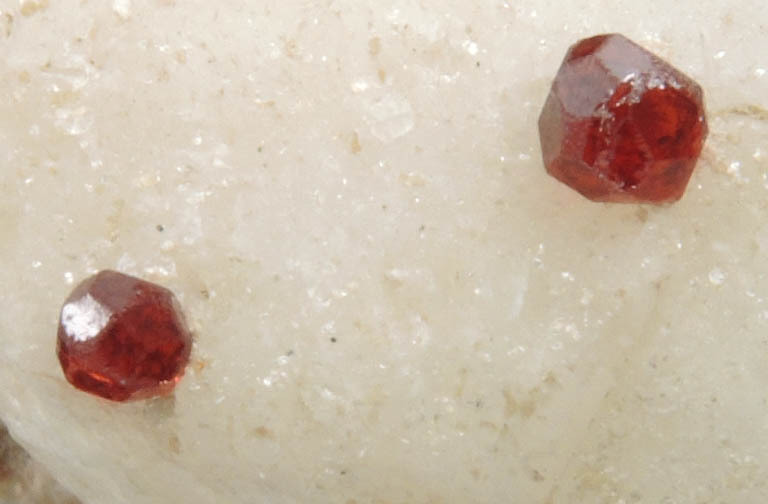 The garnet crystals are dodecahedral form and have parallel etched patterns on the edges.